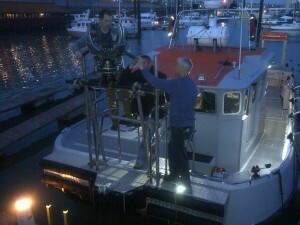 In conjunction with another local boat, I have been assisting in the filming of a TV documentary. Filming at night the closing shots of the production were to have the boat pull away from the shore leaving the people alone on the beach. This involved having the boat very close to the shore to start the shot and pull the boat away during filming. This all done in total darkness so the sun did not affect the lighting. Filming from a boat is not easy as the boat moves with the sea. Hence the camera fitted to the bow with a stabilised mount to take out any motion of the sea. 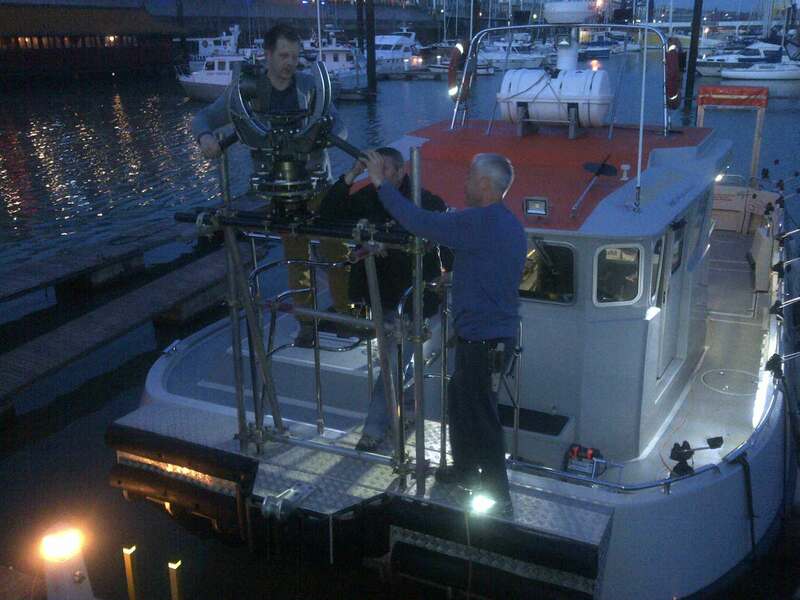 This mount is attached to the boat on scaffolding as seen in the picture above. This amazing piece of equipment uses gyroscopes to move the camera in all directions quickly and smoothly maintaining the camera picture absolutely stable. The camera once fitted is remotely operated from the comfort of the cabin. With monitors set up inside the filming can be viewed by the director as the shot is taken. 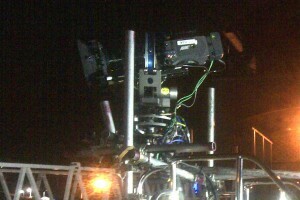 All went well and only a few takes were required to achieve the required film.